The 2018 FIFA World Cup starts today so expect your office to have football fever. With employees in Asia Pacific needing to stay up until the wee hours of the morning to cope with the time differences that means a lot of sleepy employees over the next month. The first instinct of some managers maybe to want to stop employees from being distracted. To see it from another angle, this is a great opportunity to enhance employee engagement, build loyalty and create a fun and exciting atmosphere around the office. Flexibility will be the key during the world cup when it comes to what’s best for both employees and the business. According to a study by the Society for Human Resource Management , 87% of employees felt that having flexibility was either extremely, or very important, in choosing a new job. Addeco Personel’s Greater Salary Guide finds flexibility is about more than just allowing staff time to pick their children up from school. If the work gets done, but not within the usual 9-6 timeframe, does it matter? For matches early in the evening arrange a viewing party. Management organise a ‘Football Night Out’ that includes food and drinks, offering staff a chance to mingle and bond on a level outside of work. Hold a contest for staff around which team will win the finals. This can be picking your team or even drawing from a hat. The prize for winning the contest can vary as well, from gift vouchers to company perks such as additional days off. Whether it is a screening party or an internal contest, the main aim of these activities is to engage employees by making them know that the company cares for their work/life balance. If they feel that not everything is about profit and loss, they will feel a more emotional connection with the company, engendering loyalty, more passion for their work and greater drive to succeed. 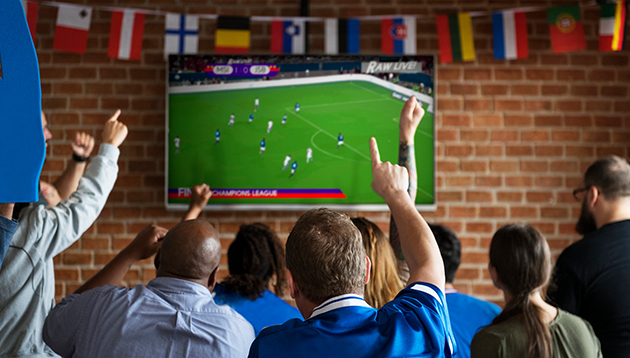 With some careful forethought and planning, the coming month of football can be effectively managed so that your business continues to operate efficiently while at the same time, your staff will be able to enjoy the highs and lows of one of the most watched sporting events in the world. Are you concerned about hiring job hoppers? However, no tellers employed today will lose their jobs as they will be upskilled to perform higher value-added financial services..
LOOK: Is this the Singlish cover letter of the future? Singlish words like shiok and ang moh just made it to the Oxford English Dictionary. Here's a HR take on the workplace of the futu..